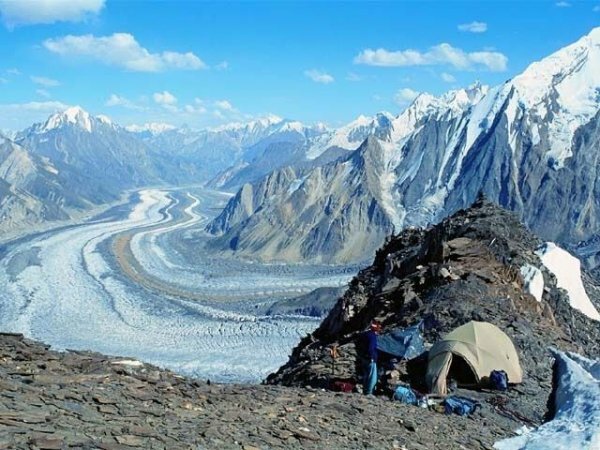 A reform committee is reportedly currently working on improving the constitutional status of the Gilgit Baltistan region; a historic move considering that the region is still lacks political representation at the Pakistani Parliament. More than 58 years after independence, Gilgit-Baltistan (G-B) finally looks set to get significant constitutional rights for the region. A reforms committee formed on the instructions of Prime Minister Nawaz Sharif is working closely with legal experts to devise a roadmap for a region which has remained out of mainstream politics due to the larger Kashmir issue. Adviser to PM on Foreign Affairs Sartaj Aziz is heading the committee which has met thrice in Islamabad over the months and discussed ways to address the issue in a manner that does not affect Pakistan’s position on the Kashmir dispute. G-B achieved independence from Dogra Raj as a result of an indigenous movement in 1947 and opted to join Pakistan unconditionally. Though the region was annexed with Pakistan, its fate was intertwined with Kashmir, which it was a part of before Partition. As a result, people have remained deprived of constitutional rights. Advisor to G-B CM Abid Baig says people of G-B will get “good news” soon. “The committee under Sartaj Aziz is working diligently and will ensure maximum constitutional rights are given to G-B,” Baig added. However, the adviser told The Express Tribune he could not certainly state whether G-B would be made a fifth province, adding it was premature to jump to any conclusions. “However, I am hopeful something substantial will come out of the meeting which will satisfy the people.” According to Baig, the committee will hold its next meeting in a couple of days and will submit recommendations to the prime minister for approval. The committee, in which the G-B representative is the region’s Chief Minister Hafeezur Rehman, is working on reforms for the Empowerment and Self Governance Order. Under the latter, the region was brought at par with a province, enabling nearly 1.5 million people to elect their chief minister and governor for the first time in 2009. Senior lawyer and G-B Bar Council Vice Chairman Shehbaz Khan suggested a roadmap for settlement without jeopardising Pakistan’s stance on the Kashmir issue. “The federal government should retain control over defence, foreign affairs, communication, finance and currency,” Shehbaz told The Express Tribune. “This can be done by amending Article 1(2) and other relevant provisions and clauses of the Constitution,” he said. The lawyer added amendments in Articles 41, 51, 59, 175 will give G-B due representation in the National Assembly, Senate and Supreme Court of Pakistan without compromising Kashmir. G-B’s first reforms were in 1972 when Prime Minister Zulfikar Ali Bhutto visited the area and formed an 18-member Northern Areas Advisory Council after abolishing princely states. The measures paved the way for reforms which successive governments introduced without giving the region a proper constitutional status.